Perthshire and the central region of Scotland, easily accessed from both Edinburgh and Fife, offer the perfect complement to the seaside golf of the east coast. Perthshire & Heartlands is rated 4.9 out of 5 based on 27 verified reviews from YGT customers. They played and stayed (we even checked they signed their scorecards). In Scotland’s heartland, calm and tranquility flow through the lush green glens, which are also home to some outstanding parkland courses. At the head of the queue is the Gleneagles resort, which, alongside Turnberry, is arguably Scotland’s leading comprehensive deluxe golf and leisure destination. 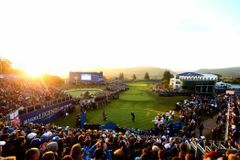 After the visit of the Ryder Cup in 2014, Perthshire is now well known to many golfers, as it is a magical place to play. While the three championship courses at Gleneagles receive most of the plaudits, the region also boasts fantastic destinations like the Green Hotel in Kinross. Scotland is best known for its seaside golf, but Perthshire and the central region are the perfect parkland foil, and make for an unforgettable golf break.